As Laura K. Mack (C'89) prepares herself for celebrating her 20th class reunion at this weekend's Reunion Weekend (May 15-17th), she posted some videos (see below) she took from being on campus during last year's (2008) reunion weekend. If you haven't been back to campus in a bit, Laura takes us for a walking tour down her memory lane as she reminisces about the High Rises, Locust Walk, and the Quad to name a few of her tour stops. She then journeys into some video in the 2008 reunion tents as well. 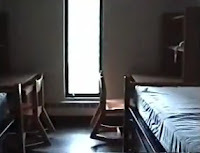 I thought her video back into Hill House was most interesting as she attempts to visit her freshman dorm room. For more info about this May 15-17th weekend's reunion weekend (it's not too late to register! ), click HERE! some of DT's 2008 reunion videos in the scroller above from the Class of 1993 reunion tents.